Zimbabwe Congress of Trade Unions members arrested - SABC News - Breaking news, special reports, world, business, sport coverage of all South African current events. Africa's news leader. 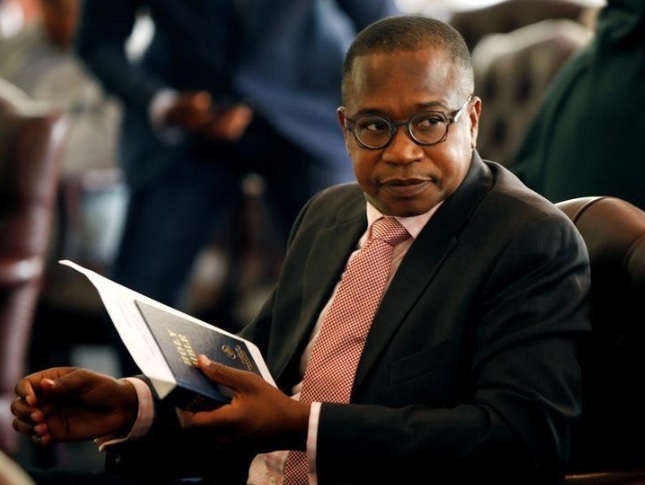 Zimbabwe's Finance Minister Mthuli Ncube introduced a 2% tax last week. Police have arrested members of the Zimbabwe Congress of Trade Unions (ZCTU) who were en route to carry out nationwide protests against what they call an illegal tax on money transfers. The 2 % tax introduced by the Minister of Finance Mthuli Ncube last week saw prices soaring and basic commodities depleted as consumers went into panic buying mode. Ncube has since reviewed the tax exempting transactions below $10 and capping the tax at $10 000. However, the labour federation decided to go ahead with the protests. On its official twitter account ZCTU accuses President Emmerson Mnangagwa of curtailing freedoms even after he was conferred an honorary doctorate for allowing the same freedoms. This entry was posted on 11 Oct 2018,05:10PM at 5:10 PM and is filed under Africa, Homepage Latest Stories Slider. You can follow any responses to this entry through the RSS 2.0 feed. Both comments and pings are currently closed.